What is revolutionary in its time? In relation to contemporary dance, what is revolutionary in its time? Comments for What is revolutionary in its time? Throughout the history of contemporary dance, every proposal that has meant a different way of approaching our art has been considered revolutionary in its time. Merce Cunningham decided to make aesthetical decisions randomly, while before him the personal judgment of the choreographer was what determined everything about a dance. The group of the so called 'post-modern' dance decided that every spontaneous movement had choreographic attributes and started to use that type of movement in their scenic proposals, while before them, every movement considered as 'choreographic' was the object of long processes of elaboration, learning, or modification from its spontaneous state. The founders of Butoh decided that the shapes and expressiveness of the 'dark', 'gloomy', or 'horrible' side of the human being was a valid choreographic material, while in the western world dance was mainly focused in projecting the aesthetics of the 'beautiful', 'idyllic' or 'enlightened'. The examples are endless. 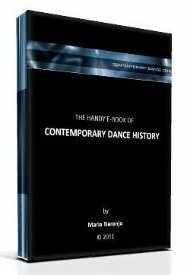 If you browse over the history of contemporary dance, you will find that almost every choreographer or dancer recorded has made something that was different from what it was common within her/his own historical or geographical context. You may have noticed also that, when talking about choreographers, historians have the habitude to say that every one of them was ?the revolutionary? of her/his time, while her/his contributions or ideas might be found in the work of precedent artists. This is because the revolutionary feature of an aesthetical proposal, method or ideology is not always defined by its relationship to a global dance history, but to micro-histories or micro-contexts, where the innovative facts occur. Come back with more questions, follow our updates or participate in any way at our site!